Cole Design Studio is a full service residential design firm specializing in custom located in Beaufort, SC. We strive to "Combine Science & Design to Create Healthy & Beautiful homes" producing the best possible solution for each individual client at the highest level of service and quality." Cole Design Studio, LLC is an award winning residential design firm based in Beaufort, South Carolina. While Ninety percent of CDS’s business is residential design, it can handle small commercial project under 5000 sq. 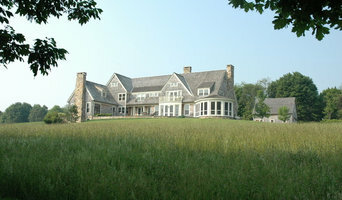 ft. Cole Design Studio, LLC was founded in 1991 by Paul R. Cole (current Eastern District Director of the AIBD). 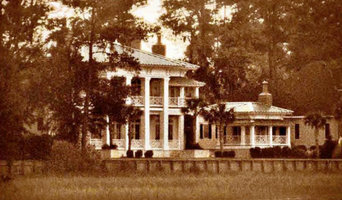 It has been in operation since and has designed custom homes throughout the low country in Hilton Head, Bluffton, Ridgeland, Port Royal and Beaufort. Recently the name was changed to Cole Design Studio (CDS) to better reflect the scope of work produced by the company. CDS provides comfortable, livable custom low country designed homes as well as well selling spec homes – for both homeowners and builders alike. CDS is a diverse company with residential designs from 800 sq. ft. – 8000 sq. ft. providing design services based on the need of the client, whether it be a small addition, complete home or commercial office space. Some builders just need a good set of working drawings for a spec. home. On the other hand certain custom designs are fully drawn and documented with constant input from the client. With today’s new codes you need someone who understands structure as well as design. CDS can help select it all – from structural alternatives through the last yard of drapery fabric. We will work closely and coordinate with the structural engineer and the interior designer to get the design you are after. We can help you with the bidding process and the selection of your contractor. We can also help you find and work with a landscape designer to make sure that your home becomes an integral part of the property and is harmonious with the property it sits on. Ask us to show you some examples of our successful design projects around town and on the islands. Talk to our past clients and let them tell you about their experiences and how easy it was to turn their dreams into reality. Let us design your dream home! The firm has particular depth of experience in coastal resort planning, mixed-use commercial projects, and custom residential design. We utilize state of the art CADD systems for competitive economies, rapid response time, clarity and precision, ease of revision, exceptional visualization, and rapid analysis of alternatives. Court Atkins Group is an established firm specializing in architecture, planning, and interior design. How do I find the best Shell Point architect for my home design project? It is best to hire a home architect who will be involved in all phases of the design process, from the initial concept to the completed construction. The architect is often the first person you will hire for your project. If necessary, they might also help you select and hire South Carolina subcontractors, which can include the builders, engineers and landscaper. Interior architects are also involved in negotiating contracts for all involved participants. It is for these reasons that it is extremely important for you to have a good relationship with the Shell Point residential architect you hire. He or she can be the tie-breaking vote between you and the general contractor and can be your biggest advocate during the construction process. Different architecture firms in Shell Point, SC provide different services, so the scope of the work can span from pre-design environmental impact studies to selecting furniture and finishes, depending on what your specific needs are. It is very important to hire the right professional for the job. Remember that the most well-known or established designer might not provide the best architectural services for your needs. It all comes down to the individual project. Research and ask people whose work you like for recommendations. It's important to have somewhat of an idea of the style of house architecture that you prefer, as well as the amount you would like to spend. 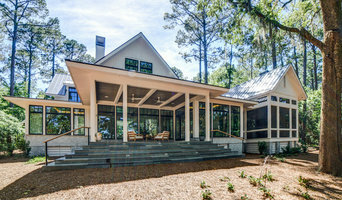 Residential architects in Shell Point, SC are natural problem solvers. They will assess the entire situation and help you to solve your problems too. Don't settle for a single company too early. Call and interview a few. Make sure that you feel like your personalities will mesh well and that you like their professional perspective. 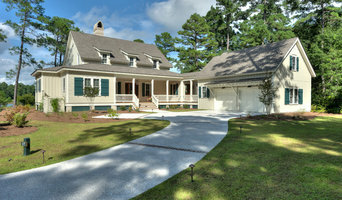 Find a home architect in Shell Point, SC on Houzz. Narrow your search in the Professionals section of the website to Shell Point architects. You may also look through photos of South Carolina projects to find interior architects and building designers who have worked on a project similar to yours.